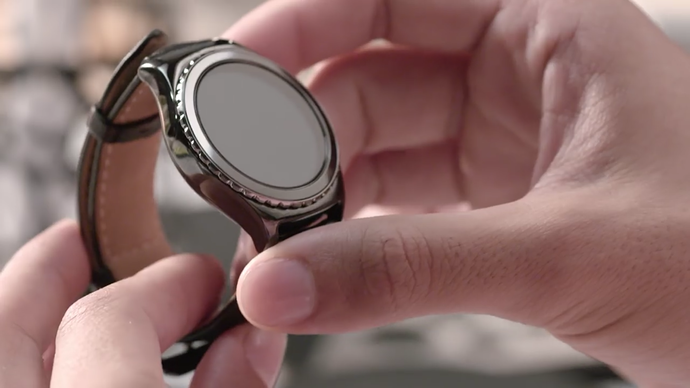 We can’t blame you if you’re excited about buying Samsung’s latest smartwatch, the Gear S2, this holiday season. It is the best smartwatch Samsung has made (though with some compromises, as is the case with all smartwatches), and it does look good on the wrist. At the same time, however, Samsung made it clear when opening the compatibility for its smartwatch up to other Android OEMs that not everything would work the same with other Android devices as with Samsung smartphones. It seems as though one tech reviewer has found some problems with Google’s latest flagship and Samsung’s latest smartwatch. The problem has something to do with data encryption in Google’s Nexus 6P. Android Marshmallow was designed to turn on data encryption by default, meaning that all devices pre-loaded with Marshmallow will encrypt your data so as to protect it in the event that you lose your smartphone. The goal is to prevent identity theft and a whole host of financial problems that could ensue should your phone end up in the wrong hands. Of course, the Nexus 6 leaves room for data encryption too, and, should you use it, your device will suffer the same fate. Last week, Samsung pushed out an update to the Gear S2 that enhanced its functionality and features. In order to update the wearable device, users need to do so from their Android phone’s companion ‘Gear Manager’ app…however, this simply won’t work with the Nexus 6P, and by logical inference, with the LG Nexus 5X, or with the Motorola Nexus 6 as they all make use of factory-set encryption. In other words, if you have activated data encryption for your device, you’ll have to either 1) decrypt it or 2) refuse to encrypt your data in the first place before pairing your Android device with the Gear S2. Could it be the case that Samsung may provide some way to encrypt smartwatch data in the future? We don’t know, but we do know that data-encrypted devices will have problems being paired with Samsung’s latest smartwatch. The Nexus 6P and Nexus 5X come with data encryption by default, but you should have better luck with Android devices that are younger than these and have yet to receive Marshmallow (4.3 Jelly Bean and 4.4 KitKat, for example). So, you choose: would you rather have an encrypted smartphone, or pair it with your smartwatch? I'm wondering if you could connect them unencrypted and then re-encrypt once the pairing is complete.....but it sounds like notifications will still be fatally flawed even if the devices did connect. I think Samsung will have to address this as encryption is not going anywhere and is becoming more and more a staple of our digital lifestyles.